I was first introduced to the unholy joys of bubble tea at the age of 18, way back in 2007. Back then, stationed just across the road from my college’s gate was a tiny, unassuming little counter attached to a photocopy shop. Behind, you could see neon-bright powders, tall canisters of colourful syrup, and a cheery man who was always there all day. I only ordered one drink each time—the honeydew bubble tea. It was not Mountain Dew green but it had its own artificial fluorescent splendour that I still miss. As a proud self-admitted addict for a over a decade, I’ve seen it grow, evolve and change here in Malaysia. 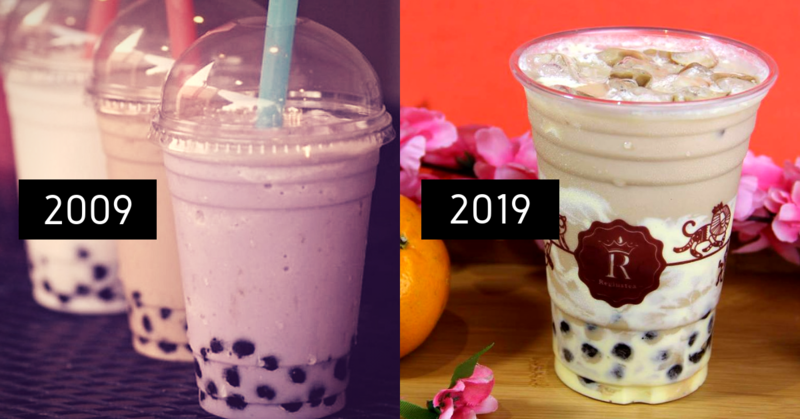 Since the #10YearChallenge trended recently, we’ve collaborated with one of my favourite bubble tea suppliers, Grab (and yes, there’s a promo code at the end), to showcase bubble tea in its very own #10YearChallenge. 1. From powdered mixes to freshly brewed. These days my standard bubble tea order is as plain as it can be—milk tea with pearls, no matter where I go. Like the drink itself, my taste has also evolved in the past decade, and I will probably never have that bright green honeydew flavoured drink again, even if it were available. One of the main reasons is taste. Brewed tea (now a staple in most of the popular bubble tea stores) tastes very different from the powdered offerings that were once common. 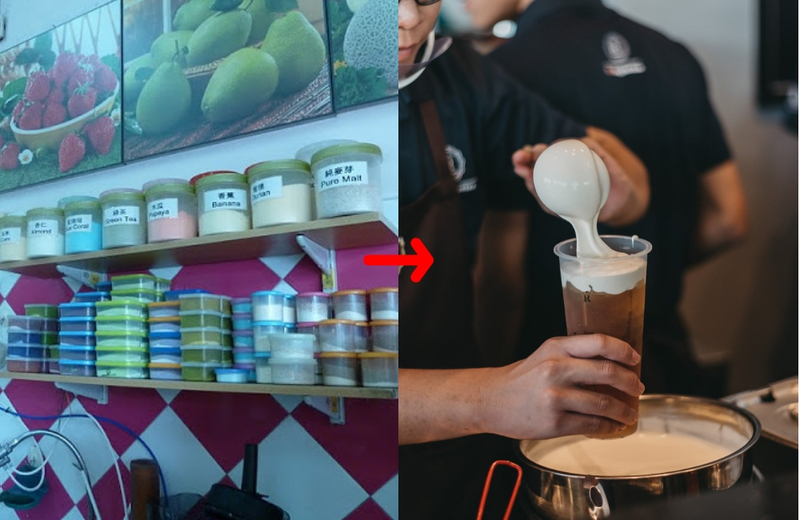 And this is more than just the tea or the flavouring; even the milk used has changed from powdered creamer to fresh cream or cheese in many of the stores all over Klang Valley today. The main thing distinguishing your average bubble tea from the teh in the mamak would be the deliciously chewy pearls that add an extra texture to just “tea”. 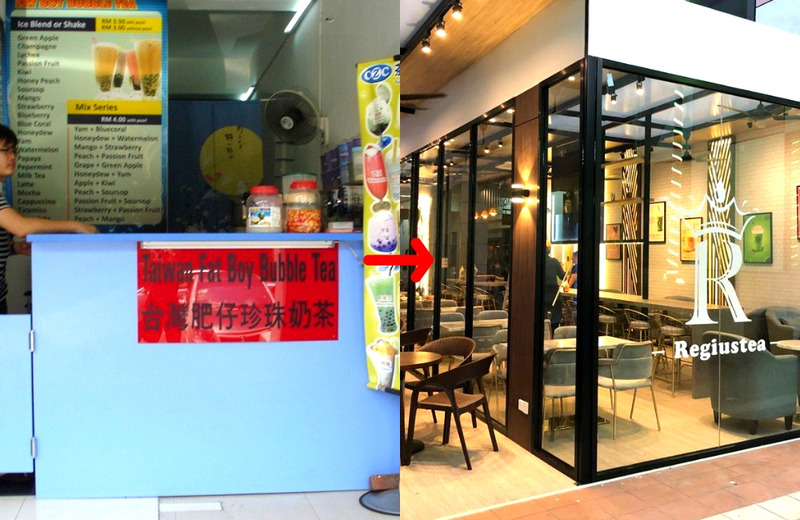 A point of pride for many locally grown bubble tea brands: they no longer have to rely on overseas suppliers for their pearls. Nowadays, it’s not too hard to find pearls being made in-store. 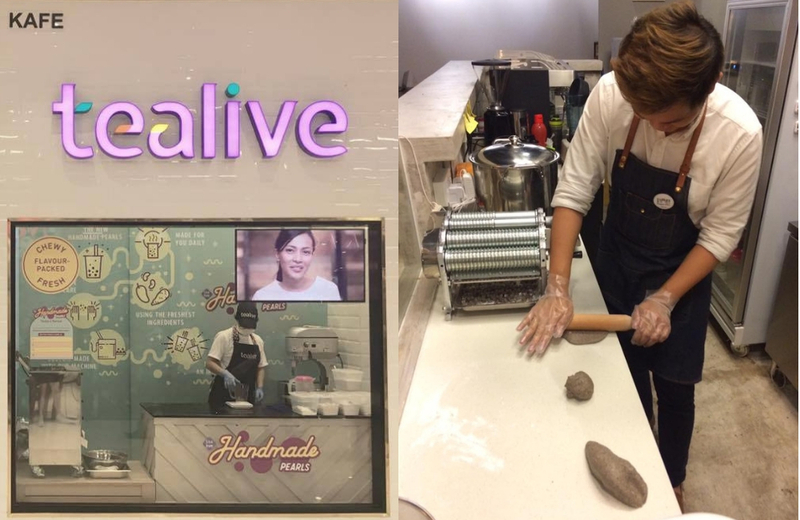 For example, you can even watch the pearls being made on-site in Tealive’s Pavilion store, or get The Alley’s freshly made pearls in-store too. 10 years ago, the places where you could get bubble tea were probably limited to these: the pasar malam, standalone little stores, counters in malls, and the occasional restaurant that also included one or two choices of bubble tea on their menus. If you wanted to sit and have the drink, the latter was often your only option, and they weren’t exactly always in conversation-friendly or comfortable places. In 2019, hanging out in a bubble tea café is a norm. The Alley in SS15 is generally always crowded; just look at Instagram for lots of aesthetic photos of people enjoying their drinks in bubble tea cafés. Despite my love for bubble tea, in 2009, I didn’t feel comfortable drinking it too often. It felt like too many of the flavourings were very artificial, and it was a bit too sweet for daily consumption. Now however, bubble tea has become something that can be enjoyed anytime. You don’t need an excuse to celebrate—even a small victory like finishing up your work extra early can be reason enough to have a cuppa. Thanks to the evolution of ingredients mentioned in point 1 above, and also the ability to customise things—like how sweet you’d like the drink to be (or remove the sugar altogether)—bubble tea can now actually be a healthy beverage. Think of it as an upgrade from that daily cup of tea you make in your office pantry. Speaking of customisation, the 10-item menus of the past are mostly gone from modern bubble tea stores. Instead, when you’re at somewhere like Chatime or Tealive get ready to see at least 20 different bases and flavours, or even build your own drink; choose which tea/coffee/base, what toppings you’d like, how sweet you want it and how much ice you want in the drink. This variety means that there are so many combinations to be tried and enjoyed. There were bubble tea chains (mostly located in shopping malls) in the past. However, besides the fans, not many people knew about them, and they didn’t have a very strong brand presence. 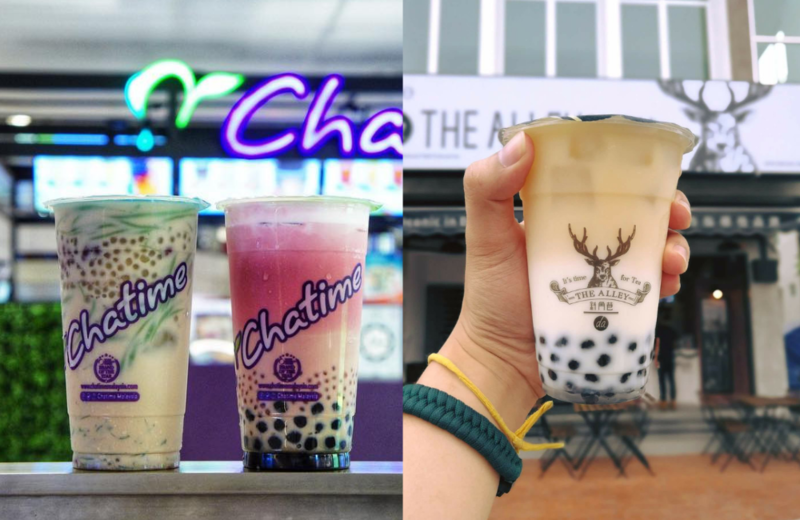 But the bubble tea industry has completely changed, with international brands like Chatime, Regiustea and The Alley now active and thriving in Malaysia, and a few of our homegrown brands like Tealive also making a mark in this region. Many of these have become household names, and they are at most major malls and neighbourhoods. 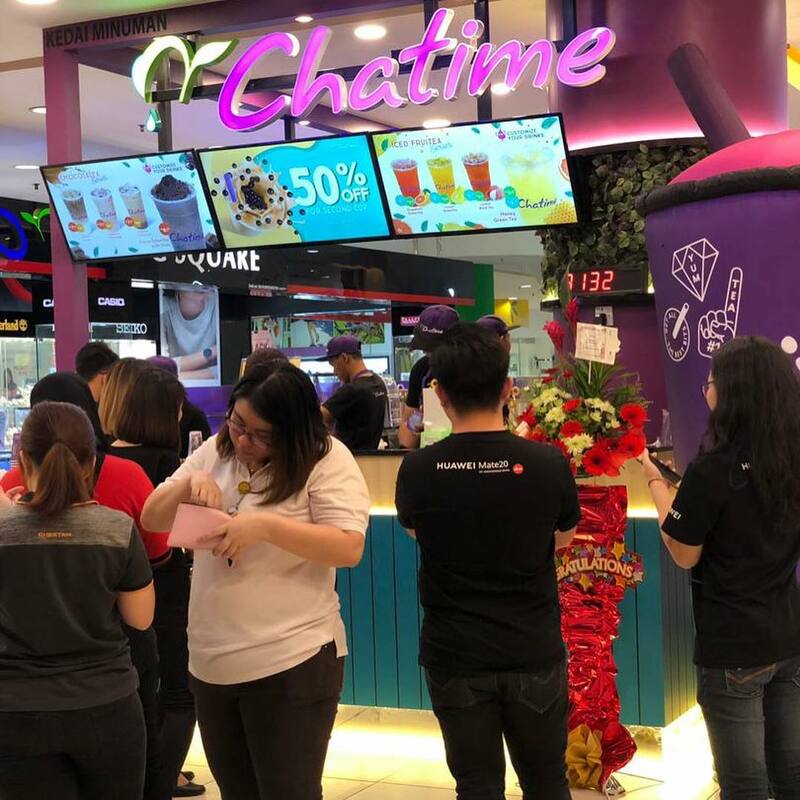 Chatime now has over 40 outlets in Malaysia alone. With a great love for bubble tea also comes a great craving for it at many times of the day. A compilation of the drinks I had delivered to me over the past few months. A compilation of the drinks delivered to me over the past few months. In 2009, I had no way of indulging my cravings besides actually heading out to get it. Now, there’s always the option of getting it delivered right to my home or office with GrabFood, often even at slightly odd times (as long as the shops themselves are open). To all bubble tea fans out there (and anyone looking to be part of the trend), Grab has 2 offers running from February 13 to April 30, 2019. Get a RM3 reward rebate with min spend of RM5 on GrabPay Credits. a) RM3 rebates are valid for a maximum of 3 X RM3 rebates, from 13 Feb until 30 April 2019. For more information, you can check out Grab’s website here.